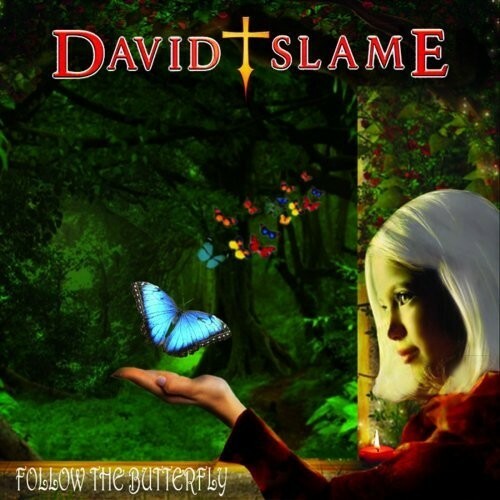 French musician David Slame has just released this, his third album, which is a concept album. It follows on from his previous releases, 'Afterlife' (2011) and 'Still Broken' (2016). 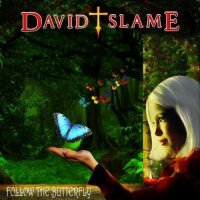 For 'Follow The Butterfly', vocalist Slame has assembled an accomplished band of musicians to bring his project to life; Antoine Roszak (guitar), Bruno Pradels (guitar and bass), Gael Ashe (drums) and the beautiful vocal harmonies of Laura Bertaina. Pradels mixed the album and was involved in all the arrangements with Slame. The band has given us a very deep and thought-provoking tale of a modern-day slave escaping the world and entering a magic kingdom for an eventual rebirth in the so-called afterlife. The lush melodies and depth of sound on this release really surprised me. The mix of style within the tale made the unexpected turns mould into one, and as a result it would be difficult to pigeon-hole this into any genre. With catchy hooks aplenty, 'Fear' and 'Circles Of Pain' give the album an almost Pomp feel to it at times, reminding me of early Magnum. The quality of the lyrics really enhances the story − a lot of thought has obviously gone into this. Also, the dual use of vocalists with Bertaina's Gothic tones, bringing the nature of the music to varying levels of excitement, is matched by the harsher sounding Slame; the pair work together very well. Bertaina reminds me a little of Candice Night's renaissance-style from 'Blackmore's Night', and this comes to the fore on 'Forgiveness', a meandering tune, deep sounding and delicate in places. The story flows at a good pace, and you sense a lot of attention has been paid to this release; it has been carefully developed, rather than just been pieced together. 'Follow The Butterfly' is a fantastic body of work, and coming in at sixty-seven minutes it's not a quick ride, but to these ears it's well worth the investment of time. Slame's vocal may take a little getting used to, but there is no denying the quality of the song-writing and the wonderful production values instilled by Pradels. I was really surprised by this release, as the days of a decent concept album are few and far between. This has many genres encapsulated within, and as a whole it works perfectly. Highly recommended.